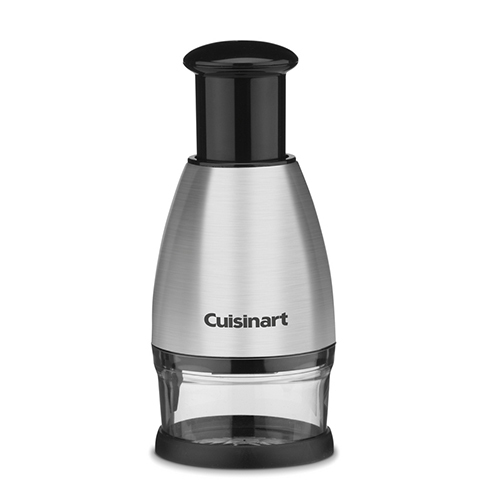 The Cuisinart CTG-00-SCHP is ideal for chopping vegetables, fruits, hard cheeses, nuts, herbs, garlic and more. The base of chopper allows to chop with or without a cutting board. 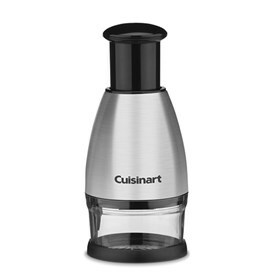 The chopper chop anything from hard cheese to a clove of garlic in seconds. It is dishwasher safe. The S/S Chopper has many exciting features for users of all types. You can extend the lifetime of your S/S Chopper with the purchase of a FactoryOutletStore Factory Protection Plan. See the S/S Chopper gallery images above for more product views. The S/S Chopper is sold as a Brand New Unopened Item.